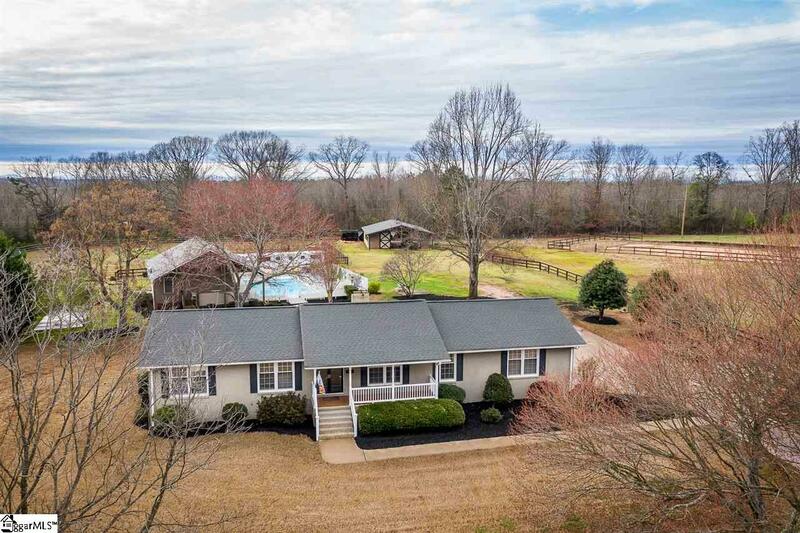 Truly a one of a kind property this mini farm has everything you're looking for w/ a 40x60 shop, an in-ground pool, pool house, a 5-stall horse barn, & separate riding arenas. The main house features 3 bedrooms & 2 bathrooms and is nicely updated w/ beautiful hardwood floors, ceramic tile, & granite countertops. The amazing pool house w/ vaulted ceilings, open floorpan, 1 bedroom, laundry room, and a full kitchen could be used as a guest house or a mother-in law suite. The possibilities are endless! 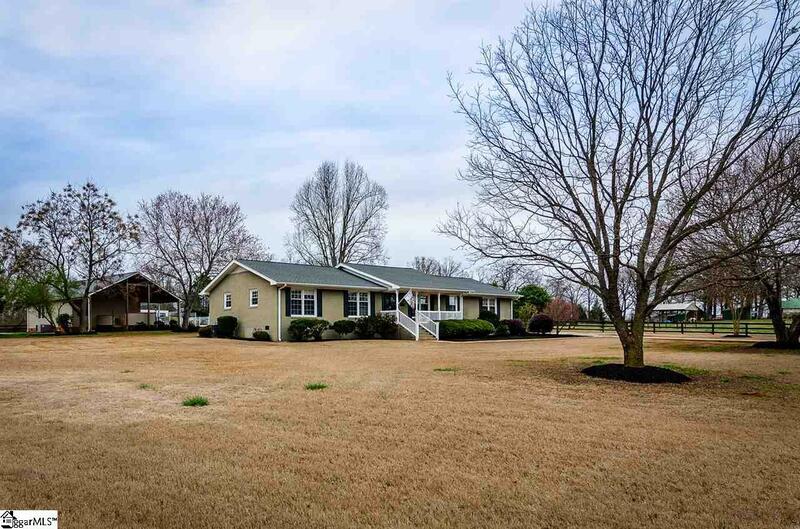 The horse barn includes a separate feed room with a sink & toilet, a large tack room, fly buster system. 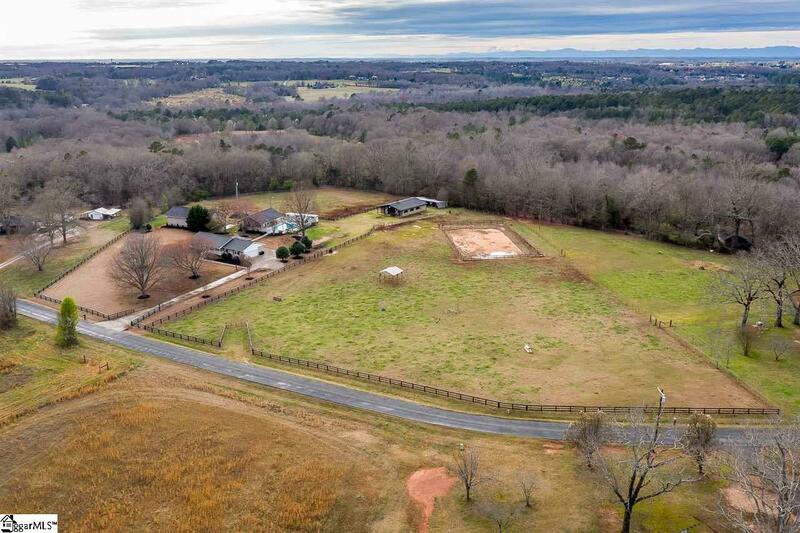 There is also a graded fenced-in small dressage arena and 2 electric fences for each pasture. The detached 3 bay workshop is insulated w/ 12ft high doors. There is also an RV pad w/ RV hook ups. 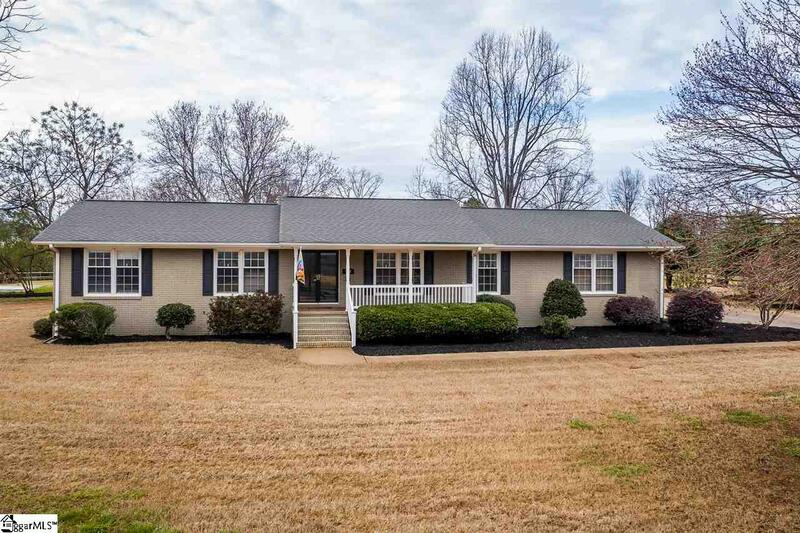 This incredible property is conveniently located close to town and shopping.